Part IV of the texlax process, aftercare. In Part I, I discussed moisturizing treatments. 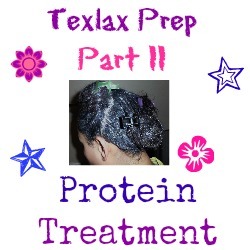 Part II, I discussed protein treatments the week prior to your texlax or relaxer. 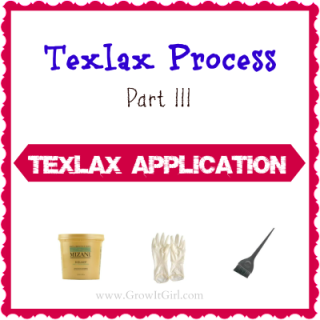 Part III was the application of the texlaxer and the process from start to finish. In the event you missed any of posts, each topic is linked. Aftercare is series of steps that occur immediately following the texlax through the first week. Approximately 2-3 days after I texlax, I shampoo my hair with my chelating and clarifying shampoos. This is a necessary step if you are using a no-lye relaxer, as it can leave mineral deposits that cause breakage. One week after the texlaxer is the time to apply a heavy protein treatment…needed if you skipped the protein treatment prior to the chemical process. If you used a heavy protein as suggested in Part II, you can move to using a normal protein based deep conditioner. Additionally, if you are protein sensitive, I would suggest a henna treatment in place of a protein deep conditioner or heavy treatment. A henna treatment will rebuild strength without the issues associated with a protein treatment. During the week after a texlax, I apply extra moisture to my hair because the chemical process can cause excessive dryness. I prefer to be proactive than reactive. The week after a texlax is the time that you want to work on your moisture/protein balance. If you experience any scalp irritation, baby your scalp using oils and aloe vera based products. During this time, avoid products or oils (tea tree or peppermint) that will irritate or cause any tingling to the scalp. Days 4 – 6 – Co-wash depending on my mood. Moisturize heavily and baggy each night. After the first week is completed, I return to business as usual. I hope my series has been helpful. If you have any questions, please feel free to ask. Thanks for reading and do not forget to subscribe for more hair care and texlax tips. 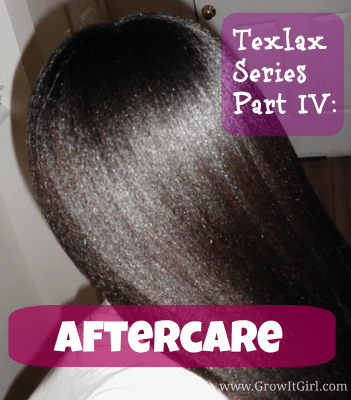 What is your texlax aftercare routine? Thanks for your great explanation of texlaxing process! I understand this is an old post but I was hoping you could answer a few questions. 1. 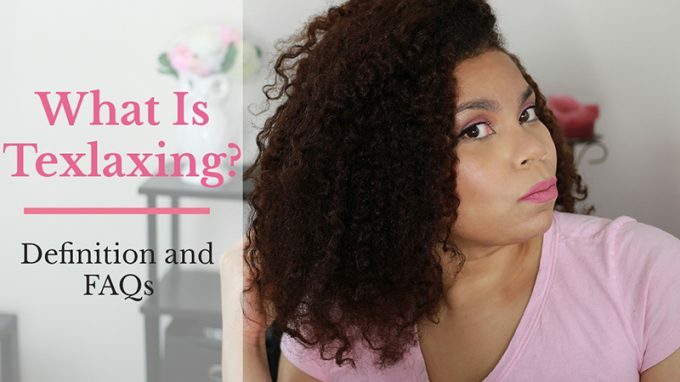 I understand Ouidad and Christo’s of New York have what they call the curl softening treatment – which other curly girls say is basically texlax with a lot of conditioner mixed in, giving better results. Have you ever tried anything like that? If so, what is your personal opinion of it? 2. What would you say the texture change was in your hair? Like let’s say did you go from a 4A to 3A curly head? 3. Does the no-poo method work on texlaxed hair? I am especially interested in the egg yolk wash method, I.e skipping the egg whites. 4. Last but not the least, have you ever considered Keratin treatment for the same results? Looking forward to your answers! Once again, wonderful blog! Your hair is beautiful! I was natural for almost 3 years and texlaxed on Friday night, 06/15/15. I just found your website yesterday:) Hence, I missed out on your day 2 & 3 step after care. Should I jump in today and start with step 3? I had roller set my hair after conditioning the day of texlaxing. How do you wear your hair the week of if baggying often-bun? I had permed hair which broke off due to a stylist giving me a brazillian treatment stating it had no chemical, but obviously it did. I had such beautiful hair prior. So i went natural but up until Friday night it was just to much work, my hair was always dry etc. and I personally did not like the look on me. Texlaxing is new to me and I want to achieve as much growth as possible and will be following your tips. Thank You!! The week after texlaxing I normally bun, wear wigs, or two braids. Which makes baggying easy for me. I don’t flat iron or style my hair until the week after. I try to make sure I get my moisture/protein balance right before I so anything else to my hair. I also love overnight deep conditioning. Love the step process so informative…. 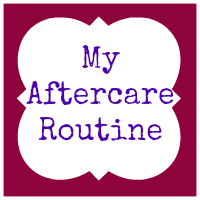 What I like about ur series is the fact that u added an after texlax care regime. Most blogs I’ve read stop after the styling step on texlax day. Thanks for the post. Thank you! 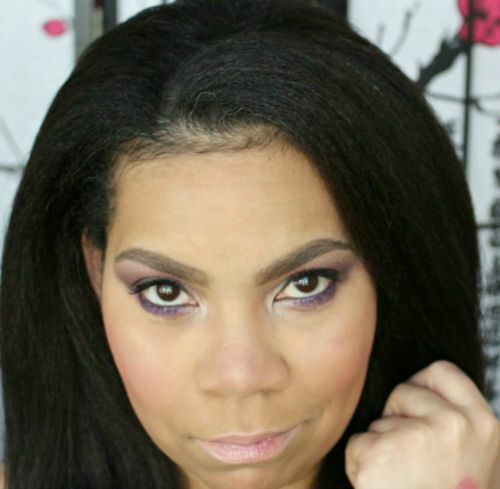 I thought it was important to share what I do b/c I don’t just go back to my normal schedule. I have a few things I include and recommend to prevent damage. Wow, your hair looks beautiful! Glad to see that your dedication to maintain your healthy hair is paying off. Thanks for sharing your helpful haircare tips!